in an rv, boat or off-grid application. First off, batteries are expensive to replace as well as heavy to lug around. We have over two tons of Trojan T-105 batteries here - did I get your attention. They weigh about sixty-five pounds each, which is the most I can carry. The last ones we purchased cost around $ 110.00 each with sales tax. wallet and back won't allow it. made by Bogart Engineering, Inc. here in California. We have been selling and using these for several years. These are the older TM-2020 models over my desk. 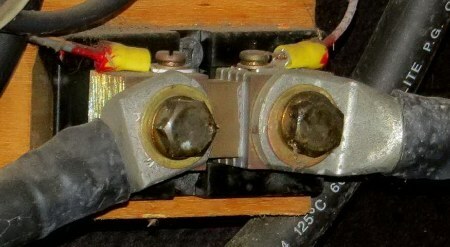 A shunt is required to allow the monitor to count the amps and direction of current flow. This type of monitoring system does something that battery voltage and specific gravity can not do. and their direction (charge or dis-charge) in your system.